MWNUK accused Muslim men within the UK Labour Party of preventing Muslim women from running for office. Britain's Labour Party didn't have a very good month. On February 5, the BBC reported that Muslim Women's Network UK had "demanded an inquiry into 'systematic misogyny displayed by significant numbers of Muslim male local councilors.'" Specifically, they alleged that Muslim men within the Labour party had obstructed their access to the levers of power by blocking them from running for office on the Labour ticket. They also claimed that women's advocacy of various causes, including women's rights and gay rights, had been squelched. Tactics had included spreading false and defamatory claims about women who refused to toe the line. MWNUK's chairwoman Shaista Gohir wrote, "As this is an open secret and has been going on for decades, we can only assume that the Labour Party has been complicit at the highest levels." Labour's response reportedly failed to address the women's specific allegations, and also failed to indicate that it would look into the issue any further. Labour's London mayoral candidate, Sadiq Khan, reportedly has ties to Islamic extremism. Then on February 12, the Evening Standard reported that Labour's London mayoral candidate, Sadiq Khan, had ties to Islamist extremists. The initial report focused only on family ties: it seems Khan's ex-brother-in-law, Makbool Javaid, has a history with extremist group Al-Muhajiroun which became notorious after praising the 9/11 attacks. It was linked to the London 7/7 bombings and is banned in the UK. Javaid's name appeared on a 1998 fatwa calling for "full-scale war of jihad" against Britain and the US. In 1997 and 1998, Javaid appeared alongside some of the country's most notorious hate preachers, including the now-banned cleric Omar Bakri. 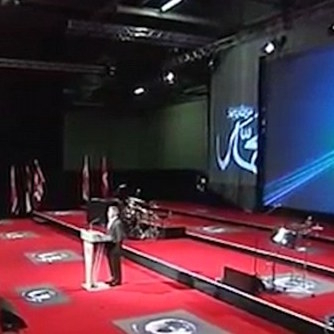 A few days later, reports broke that Khan supported groups promoting Islamic extremism and in 2008 gave a speech on a podium flying the black flag of jihad. Between 2008-2012, Khan promoted organisations that have advocated violence against women, been accused in Parliament of spreading anti-Semitism and homophobia, and staged events featuring extremists and terrorists. Khan has also represented the anti-Semitic Nation of Islam leader Louis Farrakhan. OULC co-chair Alex Chalmers resigned over rampant anti-Semitism, including support for Hamas, within Labour's student group. 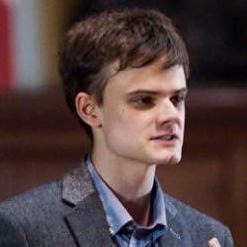 Adding to Labour's troubles was the well-publicized resignation of Oxford University Labour Club (OULC) co-chair Alex Chalmers over the group's "poisonous" anti-Semitic atmosphere, which included some group members voicing support for the Islamist terror group Hamas. OULC is the UK's largest student Labour club. Labour's national student organization responded by launching an investigation into the allegations of anti-Semitism. Officially, the Labour Party "welcomes" the investigation. One wonders whether it will welcome the investigation's findings. Labour claims to have the best record of any UK party in selecting female and ethnic minority candidates, and touts its political advocacy for women, Muslims, and racial minorities. If it is serious about cleaning up its act – and so far it has shown little evidence of that, especially regarding the claims about Khan and the Muslim Women's Network – it might want to consider this. Supporting groups (read, Islamists) it believes to be downtrodden is not the same as subscribing to the values of those groups, which often diverge from the values that inspired Labour to support the groups in the first place.